Apple cider vinegar has for many years being one of the go to natural treatments for psoriasis. On a personal level, I only tried apple cider vinegar on my psoriasis (topically) once when I was 15 and totally desperate to find a cure. I only had psoriasis for one year at that time and in all honesty, I do not think I stuck with it long enough to see any positive results. Therefore today’s “how to” article is based on research and not a personal success story. If you want to read my full personal view on apple cider vinegar, you can check out my apple cider vinegar psoriasis treatment review. 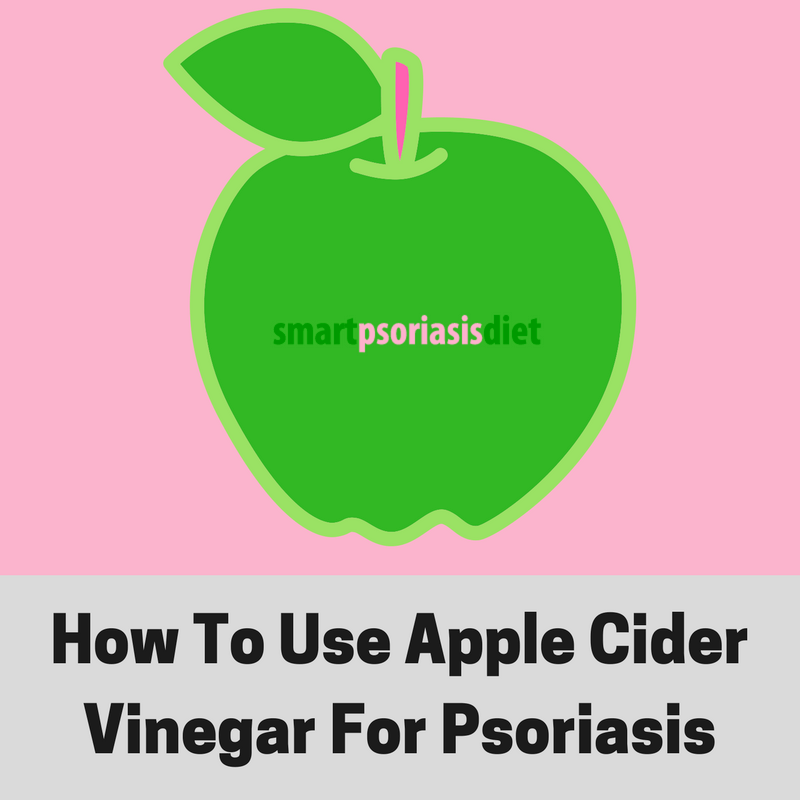 The following post will briefly explain what psoriasis is(for newbie readers), why apple cider vinegar can help and the different ways you can use apple cider vinegar to treat your psoriasis naturally. Psoriasis is a chronic condition that causes the rapid growth of skin cells at a higher rate than average. As a result, you are left with dry, raised, red and scaly patches of skin. The skin may flake, burn, itch or sting. This condition may appear as small patches on the surface, or it could spread widely. Psoriasis is NOT contagious. Apple cider vinegar is made by fermenting apple cider with specialized bacteria to form acidic vinegar. Apple cider is mostly used as a food preservative. More recently, it has gained popularity for its health benefits. It has antiseptic properties that can help relieve itching and irritation from psoriasis. 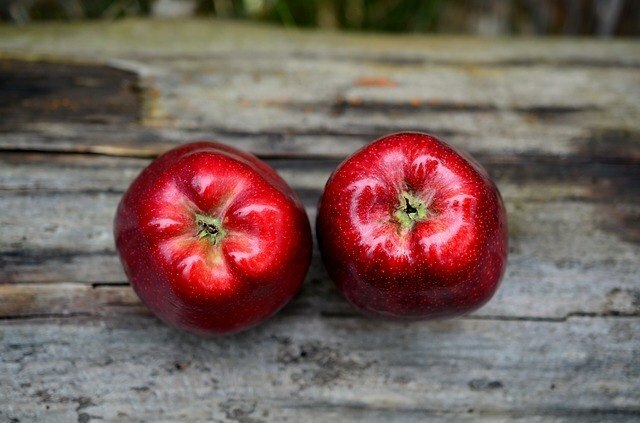 An apple a day keeps the psoriasis away ?!? Is there scientific research to back up apple cider vinegar being good psoriasis (or just anecdotal evidence)? There has been no scientific research done to determine the effects of apple cider vinegar for psoriasis. However, it has been mentioned as an anecdotal treatment by the Journal of Pharmacy Research. According to the National Psoriasis Foundation, apple cider vinegar was used as a disinfectant in the past. The ancient Greeks used it to treat issues like obesity, diabetes, cholesterol levels, hair loss and various skin diseases. Numerous studies have made a connection between pH and skin conditions like psoriasis, acne, and eczema. The excess acid in diets irritates the tissues of your skin and depletes them of the necessary minerals. Therefore, it is advisable that you incorporate alkalizing foods to help tame high acidic diets. 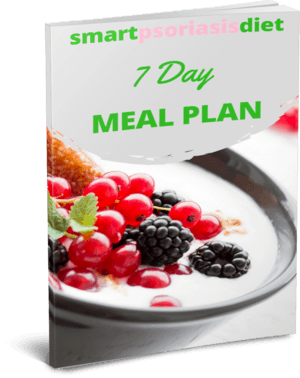 Some of the alkalizing foods include broccoli, molasses, lentils, and dark leafy vegetables. tablespoon or two every day. They mix it with water and then drink. The ACV has to be diluted to prevent wearing of your tooth enamel. Undiluted vinegar can also cause burns to the sensitive areas in your mouth or throat. You can mix a teaspoon of ACV with a teaspoon of baking soda to make a paste. This paste can be applied on the affected area as long as it is not an open lesion. The paste helps to relieve itching that is associated with psoriasis. After shampooing your hair, use apple cider vinegar to rinse your hair to treat scalp psoriasis. Mix water and the AVC on a 1:1 ratio and use the mixture to clean your scalp. Soak cotton balls in diluted vinegar and part your hair to apply the vinegar generously on the affected area on your scalp. Let it settle for at least thirty minutes and rinse it off with warm water. Another way to use ACV for psoriasis is to take a shower in it. Soak in it for at least 30 minutes to allow the vinegar to get absorbed into your hair, scalp, and skin. Other than helping with psoriasis, using AVC in your bath helps to ward off bacteria, yeast, and fungi from your body due to the acidic nature of the vinegar. For large spots, soak a cotton ball in pure ACV and apply it to the area. Let it dry overnight and then rinse it off in the morning when taking a shower. You can also use the compression method. Skin irritation – Apple cider vinegar can irritate your skin if not diluted properly. It should not be applied directly to an open wound. Allergic reaction – Just like any natural remedy, an allergic reaction is possible when using apple cider vinegar. Some of the symptoms to look out for include rashes or hives, fast heartbeat, dizziness and difficulty breathing. Worsening of certain conditions – When drunk, apple cider vinegar may erode your tooth enamel. It is advisable that you drink ACV through a straw to reduce tooth erosion. If you are on thinners, consult your health professional first before using ACV. These treatments are applied directly to the affected area. They are recommended for mild psoriasis symptoms and can be purchased over the counter or through a doctor’s prescription. Also known as phototherapy, light therapy is a psoriasis treatment that involves exposing the affected area to ultraviolet light on a regular basis. This procedure should be done under medical supervision. This treatment can be taken orally or through injection. The drugs are prescribed for people with moderate to severe psoriasis. Biologics are prescribed for moderate to severe psoriasis that has not responded well to other treatments. They are given by intravenous (IV) infusion or injection. This is a prescription medication for adults with psoriasis. It should only be taken as directed by the doctor as it may have very severe side effects which include diarrhoea, nausea, and vomiting. 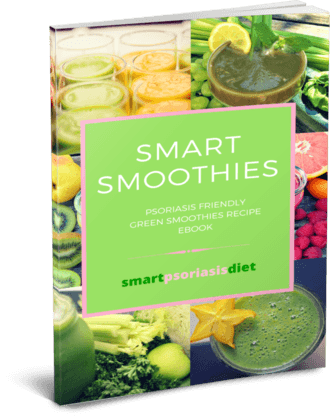 As you may have guessed, I do not believe in using the above conventional methods to treat your psoriasis. If you are reading this blog then you have, like me, tried all the above to no avail. They may give short term relief but never long term and that is why you must look at your overall lifestyle to discover what your psoriasis triggers are and then put in place a plan to avoid those triggers. 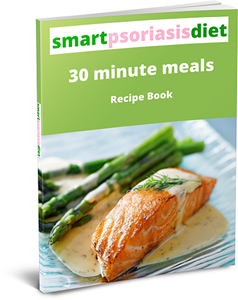 To read exactly how I got my psoriasis under control after 16 years of struggling, please download my free Smart Psoriasis Diet Plan eBook. If it worked for me, then why can it not work for you?